The fleece material in dryers needs to be replaced periodically for keeping the machine in working condition. As per dominant perception, there is no use of this lint and is generally thrown away in trash. However, not only can it be re-cycled, it can also be used to make candles. The latter option provides you with a cheap handy craft for decoration purpose. Only few things are needed and you can effective use lint to make candles at home. Open up your dryer and take out lint from the lint trap inside it. Take a container, like an old coffee can, or a plastic bag to keep the lint you have collected. You can take out as much lint as required for your task. You will need an empty egg carton to serve as a mould for making candles. A carton made of cardboard is ideal for this purpose, while you should not select the one made up of Styrofoam, as it is susceptible to melting when hot wax is poured in to it. Cardboard won’t melt or get damaged from molten wax. 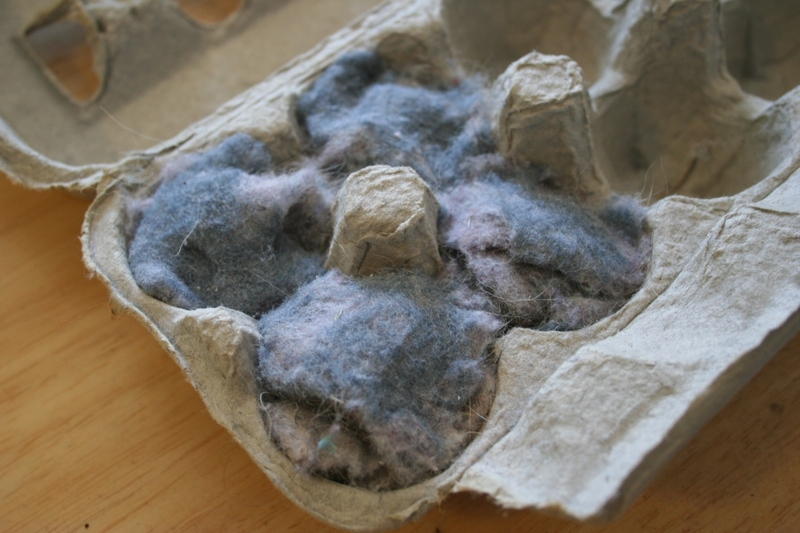 Now take the lint you collected from the dryer and place it in every section of egg carton. You have to stuff as much lint as the mould can hold and then set it aside for some time. Instead of egg carton, empty cupcake paper can also be used as a mould for making candles. Fill the cupcake papers with layers of lint and place them in a muffin pan. Keep in mind that layer of lint will become smaller when hot wax is poured onto it. That is why you should have sufficient amount of lint in the moulds before adding wax. Half fill a large pot with water and place it on a stove for heating. You have to place another smaller pot or a clean coffee can inside the water pot. Turn on the heat and let the water boil. This arrangement will serve as a double boiler. Place wax candle stubs into the inner container and wait until it melts down completely. Now pour the melted wax in every section of egg carton and completely cover all the lint with it. Fill the mould to the top. Set aside the egg carton until the wax cools down and solidifies completely. Cut down the carton and you will get 12 lint candles.